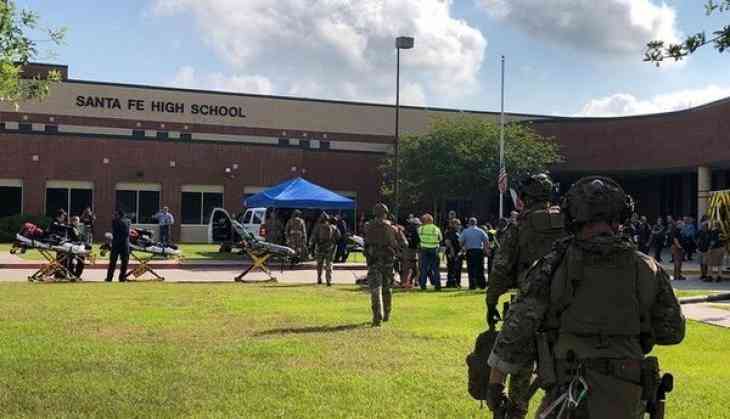 Ten killed and ten wounded in the Santa Fe high school shooting in southeastern Texas city of Santa Fe on Thursday (local time). As reported by CNN, Governor Greg Abbott said the accused of Santa Fe high school shooting had used a shotgun and a 38-revolver that were legally owned by his father. He further pledged to step up their actions in Texas and ensure that such a tragedy never happens again. The law enforcement authorities said that two have been detained in connection with the incident. One of them is identified as Dimitrios Pagourtzis and is suspected to have fired the shots. Gunfire erupted at the school, about 20 miles outside Galveston, at around 7:30 a.m. (local time) officials said. Further, some explosive devices were found at the location including pipe bombs and pressure cookers around the school campus. The two male suspects are believed to be students and have been detained. Further, one of them got injured in the firing. The second one is considered to be an accomplice and not a shooter. An investigation is underway.